Cecil Ray Marks, 88, of Johnson City, went home to be with the Lord on Sunday, October 21, 2012 at Lakebridge Health Care Center in Johnson City. 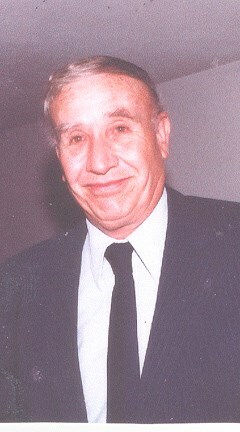 He was a native of Alvarado, VA and a son of the late Graham and Annie Hoilman Marks. He was also preceded in death by one grandson, Bryce Thayer Parker, two sisters, Doris Yates and Viva Milner and one brother, Delbert Marks. Mr. Marks was a member of Unaka Avenue Baptist Church for nearly 80 years and a member of the Howard T. Rich Sunday School Class. He was with Range Chevrolet in Erwin for many years where he was Manager of the Body Shop. He also owned and operated several body shops over the years. He was a member of the ROMEO club of Johnson City, who sent him on an all expense paid trip to visit the WWII memorial in Washington DC in 2004. Mr. Marks was a veteran of the U. S. Marines in World War II serving in the 6th Marine division. He participated in action against the enemy at Marshall Islands, Guam and Okinawa and he participated in the Occupation of China in 1945. Mr. Marks was one of the first troops during WW II having joined the Marines when he was 17. He was an avid Braves fan and was a fan of UT football and UT Womens Basketball. Mr. Marks enjoyed being with his family, going to church, reading his Bible and hiking with his brothers. His favorite saying was " Thank Good Jesus"?. Everyone who knew him loved his wide smile and big heart. The family would like to extend thanks to the staff of Lakebridge Health Care Center for their love, care and friendship and a very special thanks to Austin. Also thanks to CARIS Hospice for their loving care. Survivors include; three daughters, Deborah Marks Jensen of Jonesborough, Teresa Marks Rose and her husband Steve of Johnson City and Rebekah Marks Manis and her husband Greg of Rogersville; one son, Bobby Marks and his wife Jill of Myrtle Beach, SC; three Grandchildren, Brooke Jensen, Joseph Durham and Raquel Marks; two brothers, Elbert and Jimmy Marks both of Johnson City; the Mother of his children, Patsy Marks Counts of Jonesborough; several cousins, nieces and nephews. Graveside services will be conducted at 11:00 am Thursday, October 25, 2012 from the National Cemetery at Mountain Home. Chaplin Dwight MacPherson will officiate. Family and friends will serve as pallbearers. Military Honors will be accorded at the cemetery. The family will receive friends at the funeral home from 6:00 until 8:00 pm on Wednesday. I am so sorry for you loss. I will be keeping all of your family in my thoughts.